pingmd has self-certified to the EU-U.S. Privacy Shield and the Swiss-U.S. Privacy Shield Framework. The PINGMD web site may contain links to other sites. Once you enter another web site (whether through an advertisement, service, or content link), be aware that PINGMD is not responsible for the privacy practices of these other sites. We encourage you to look for and review the privacy statements of each and every web site that you visit through a link or advertisement on PINGMD. Even if you do not register with PINGMD, we collect non-personal information about your use of our web site, special promotions and newsletters. After you have registered as a member of PINGMD, you may choose to use certain PINGMD interactive content, tools and services that may ask you to voluntarily provide other types of information about your child, including personal health information. Some of the tools do not retain your personal health information, while others store your personal health information in accordance with the authorization you provide at the time you use the tool. We are committed to protecting the privacy of children. Neither PINGMD nor any of its services are designed or intended to attract children under the age of 13. We do not collect personally identifiable information from any person we actually know is under the age of 13. A parent or guardian, however, may use the PINGMD service to establish a personal health record and the communicate health information regarding a minor. The parent or guardian is solely responsible for providing supervision of the minor’s use of PINGMD. The parent or guardian assumes full responsibility for ensuring that the registration information is kept secure and that the information submitted is accurate. The parent or guardian also assumes full responsibility for the interpretation and use of any information provided through the PINGMD service for the minor. The PINGMD service provides you a secure place to store personal health information for your child and provides tools and services to better manage the health of your child. Personal health information that you enter into one of the PINGMD service tools is used to provide you personalized health information regarding your child. You control access to this information. The PINGMD service has the ability to use personally identifiable information and personal health information that you provide to allow you to communicate with certain healthcare professionals regarding our child. You control these communications and the release of information to such professionals. As a general matter, if you provide any such information in connection with obtaining a consultation with a healthcare professional, you will be deemed to have consented to the release of such information to that professional, and you will have consented to receive communications from that professional regarding your child. PINGMD may provide aggregate information to third parties. For example, we might inform third parties regarding the number of users of our website and the activities they conduct while on our site. We require parties with whom we share Aggregate Information to agree that they will not attempt to make this information personally identifiable, such as by combining it with other databases.  Requires both a personal username (log-in name) and a validated strong password in order for users to access their personally identifiable information or personal health information.  Uses firewalls to protect information held in our servers.  Utilizes Secure Socket Layer (SSL) encryption in transmitting personally identifiable information to our servers. In order to take advantage of encryption technology, access is limited to Internet Browsers and devices supporting encryption.  Encrypts all stored personally identifiable information using AES256 bit encryption.  Closely monitors the limited number of PINGMD employees who have potential access to your personally identifiable information.  Backs up our systems to protect the integrity of your personally identifiable and personal health information, and encrypts all backed up data using AES256 bit encryption.  Enforces strong, system-wide passcodes on iOS and Android devices running the pingmd app, but only for users who opt in to use the fast login feature. ○ On iOS, this is achieved via the use of a configuration profile. ○ On Android, this is done via the Device Administration API.  Provides secure messaging so that information related to your personal health related characteristics is sent through a secure, encrypted connection.  Limits access to personally identifiable information to authorized users. PINGMD enables you to have full control over who has access to your personal health information. For example, you may decide to permit your physician or other health care professional access to the personal health information you maintain within our tools. Only the person who creates a record can grant access to other users. Despite PINGMD’s efforts to protect your personally identifiable information and personal health information, there is always some risk that an unauthorized third party may find a way around our security systems or that transmissions of your information over the Internet may be intercepted. If you have a complaint or problem, please use our Customer Support Form (Help or Contact Us) Our customer service department will forward your complaint to the appropriate internal PINGMD department for a response or resolution. 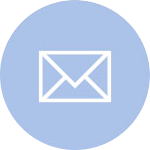 We try to answer every email within 48 business hours, but may not always be able to do so. If you want to (1) update the personally identifiable information that you have provided to us, or (2) change your preferences with respect to marketing contacts or other activities, update your user profile in the profile section of the Site after you have logged in.